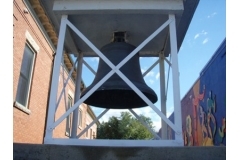 This is the original Clock Bell from the former Post Office at 102 Main Street. 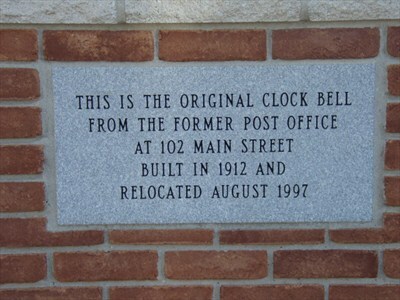 Built in 1912 and relocated in August 1997. 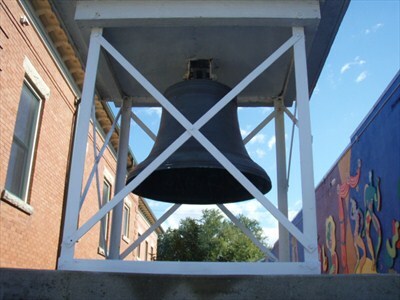 It is presently located in front of the Wellington County Library in Mount Forest at 118 Main Street North. 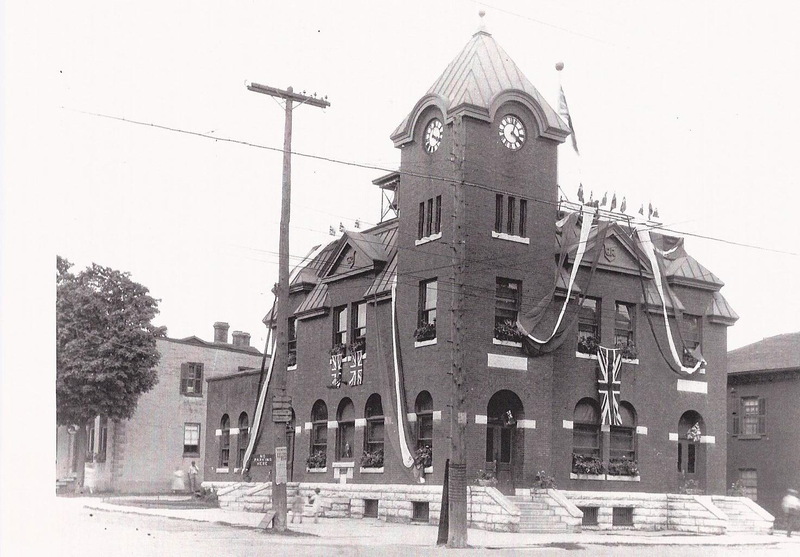 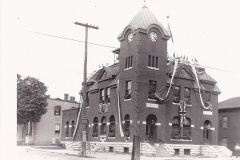 This is the Old Post Office as it was in 1927. 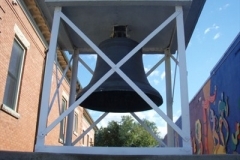 The bell is situated at the back of the clock tower.